(TibetanReview.net, Aug12, 2016) – In yet another but still rare instance of yielding to public pressure, a coastal city in eastern China on Aug 10 backed away from its selection as the site for a Sino-French nuclear waste processing plant following days of protests by residents. Thousands of residents of Lianyungang city in Jiangsu province took to the streets since Aug 6 after it was reported that the city had been chosen as a possible for the plant. The processing plant will use plutonium from spent uranium burned in nuclear power plants by blending it with uranium to produce new fuel rods for pressurised water nuclear reactors. The local government said on its website on Aug 10 that the city would “suspend the site selection and preliminary work on the nuclear recycling project”, reported China’s official China Daily newspaper Aug 11. It said a media report on Jul 26 said that a deputy director of the State Administration of Science, Technology, and Industry for National Defense, accompanied by CNNC (China National Nuclear Corp) executives, were inspecting Lianyungang as a possible location for the plant. It added that the report drew huge public attention and local people protested. French nuclear fuel group Areva and the CNNC signed a deal for the 100 billion yuan ($15 billion) project in 2012 for processing spent fuel produced by nuclear power plants. Construction is scheduled to start in 2020, with completion by 2030. However, a site for the plant is still to be found or confirmed. “The final site will be decided by the central government after being scientifically researched, released to the public and supported by the local government,” the report quoted Xue Weiming, general manager of the CNNC’s Nuclear Fuel Reprocessing Co, as saying, citing Science Daily Aug 10. Xue has said that radiation risks in the nuclear reprocessing program were low while the influence on the environment and nearby residents could be controlled. Meanwhile, in a report published Aug 8 by the official local newspaper, the Lianyungang Daily, the local government has said that “no final decision had been made” on the location of the plant. And it threatened to take legal action against “illegal elements” it accused of “fomenting social disorder” and spreading rumours about the project, reported Reuters Aug 11. 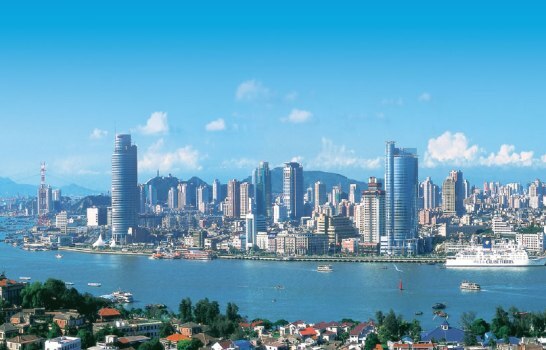 Lianyungang, about 500 kilometers north of Shanghai, is a port city with a population of 4.5 million. The city already hosts two Russian-designed reactors while two more units are also being built. Mainland China currently has 34 nuclear power plants in operation, 20 under construction and more planned, according to the World Nuclear Association. It has ambitions to become a world leader in nuclear power. Earlier, in 2013, residents in the city of Heshan in Guangdong province took to the streets to protest against a uranium processing plant scheduled to be built in the city. The project was eventually cancelled.